EXAM RESULTS ! BUT WHAT NEXT? A number of drop-in sessions are being held across Central Bedfordshire between next week and the beginning of September. Careers advisors from independent advice service 4YP will be at sessions in Houghton Regis, Sandy, Biggleswade, Flitwick, Leighton Buzzard, Arlesey and Dunstable. They will offer help with interview skills, finding and applying for suitable apprenticeships or college and university courses, preparing a CV and completing job applications. For more information, visit www.4ypuk.com, email gillboydell@4ypuk.com or call 07903 202 703. If you are hoping to go to university but didn’t get the grades you wanted, did better than expected or don’t want to take up any of your offers, then you may be able to secure a place through clearing. You can view all courses with vacancies and then contact the course providers directly to see if they will offer you a place. Visit www.ucas.com/ucas/undergraduate/apply-and-track/results/no-offers-use-clearing or call 0371 468 0468. Alternately, you can ring the Exam Results Helpline for free, independent advice between 13-24 August. Call 0808 100 8000 (calls are free from landlines and selected mobile networks). The National Apprenticeship Service has lists of apprenticeships nationwide on its website. These are a great way or learning and earning at the same time, as you will receive a wage while also working towards a qualification. Many big employers and organisations nationwide, including Central Bedfordshire Council, offer apprenticeships in lots of different fields. Elections are being held on Thursday 2nd May 2019 to elect a new Council for Central Bedfordshire (CBC). 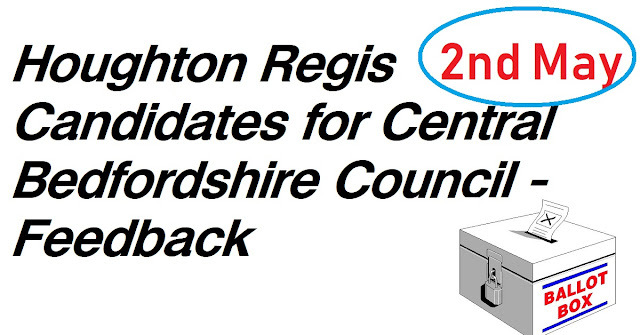 At the same time, a new Council will be elected to serve Houghton Regis Town Council (HRTC). Panattoni, the world’s largest speculative logistics developer, has begun development on Panattoni Park, near Houghton Regis. This new speculative warehouse development is located on the southern M1, immediately adjacent to the newly built junction 11A. Winvic Construction secured this assignment, recently breaking ground on the £80m industrial development. The development consists of two units, one of 345,000 sq ft and one of 69,000 sq ft. The £80 million development consists of two units. Luton 345 has a haunch height of 15m, and offers 345,000 sq ft of space and an additional 13,500 sq ft of offices over two floors. The second warehouse, Luton 69, is 69,000 sq ft, 13.1m in height and provides 7,700 sq ft of office space. Winvic will also be carrying out the associated civil and infrastructure work, including car and lorry parking, both Luton 69 and Luton 345 will be completed in December. 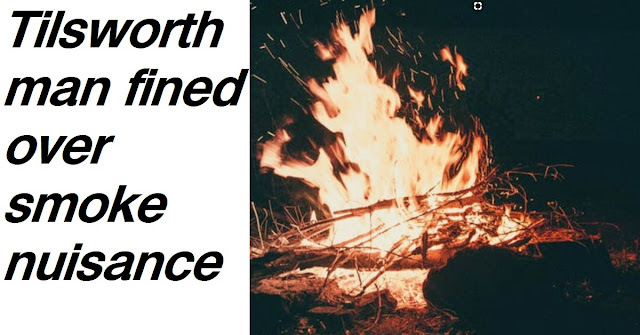 A man from Tilsworth has been ordered to pay fines of over £2,300 this month after he repeatedly lit bonfires despite being served with a legal notice to stop. Following complaints from neighbouring residents, Central Bedfordshire Council investigated and served an abatement notice on Mr John Price of Dunstable Road in Tilsworth. An abatement notice is a legal document that requires someone to stop what they are doing if the council considers it a nuisance. 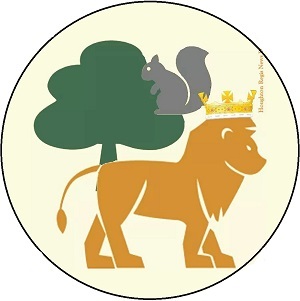 The notice was issued by Central Bedfordshire Council in July 2018. However, Mr Price ignored this and continued to regularly light bonfires: even in the lead up to his court case, he was still seen lighting bonfires on 20 separate occasions. Mr Price who failed to attend Luton Magistrates’ Court on 26 March was found guilty in his absence and was ordered to pay costs of £2,337. Last week I wrote to almost all the candidates due to take part in the elections for Central Bedfordshire Council standing in Houghton Regis, and pointed out that I was hoping for a response by the evening of 11th April. In all, there are 19 candidates. The messages were sent via email or Messenger. Total responses received 2. 1. I didn't have a contact point directly for 3 candidates, but I did ask that their 'party' colleagues would pass the message onto them. Local schools have been helping to dig up the fields around Houghton Regis. Part of the preparatory works for the massive HRN1 building scheme included several archaeological digs on land adjacent to Sundon Road and South of the Sundon Link road. The dig took almost six months to complete and finished at the end of February 2019. 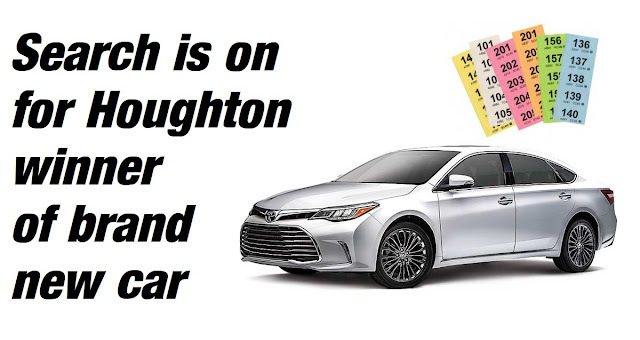 The winner of a brand new car probably lives in Houghton Regis, but so far the organisers of the event have not been able to identify exactly who is the winner. And the closing date for claims is today. Raffle tickets for the four-door saloon car were sold at various events in the county in the past 12 months and the buyer's addresses were written on the back. The draw took place last week at a prestigious event in Mags Lane, Bedfordshire, but the address was given on the back of the winning ticket as just "Houghton Regis". The perplexed organisers have appealed to local media to help to try and find the lucky winner. Albert Ross told HRND, "We chose this Mags Lane for the draw event because it was in the middle of nowhere in particular. Funnily enough, it reminded us of the Bermuda Triangle, and considering what has happened, it might as well have been."